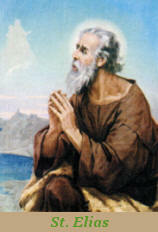 the law of the Lord and to watch in prayer”. In the 13th century, due to strife and unrest in the middle east, they migrated to Europe where, in view of the new surroundings, they saw their rule revised. With time, their monastic life which was now combined with outside religious activities led to a relaxation of the rule. 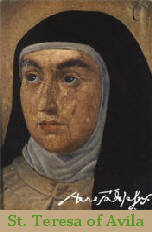 The nuns who had become part of the Order in 1452 also followed in this trend, and a century later, St. Teresa of Avila, in her desire to return to the primitive rule initiated her reform which spread throughout the world and became known as the Discalced Carmelite Nuns. In 1790, four English speaking Carmelite Nuns left Belgium for the United States where they established a foundation. Soon, Carmel spread throughout the States. From Cleveland, Ohio, to Canada, wherein 1952, the first English speaking Carmelite monastery was founded in St Agatha, Ontario. The Carmelite monastery on Salmon River Road, Armstrong, is a daughter house of the Carmel of St. Joseph, St Agatha, Ontario. When vocations in eastern Canada increased in the 1980s, the Carmel in St. Agatha had to plan for a new foundation, since twenty-one sisters are the limit for a Carmelite monastery. They looked to the west for various reasons, but especially that they might be more available to western vocations, who were being called to a strict contemplative life. The west offered them a very wide choice, and the nuns, after much prayer, accepted the invitation of Most Reverend Lawrence Sabatini, Bishop of Kamloops, who was anxious to have the cloistered contemplative nuns in his Diocese to pray especially for priests; and so, on August 15, 1991, feast of the Assumption of Our Lady, three nuns from the Carmelite monastery in St Agatha, Ontario, arrived to pioneer the first English- speaking foundation in Western Canada. In time a property was purchased and on May 01, 1992, the foundation house, dedicated to St Joseph, was blessed by His Excellency, Bishop Sabatini, and the first Mass was offered in the small chapel. After 17 years in our temporary dwelling, and through the aid of good friends and benefactors we saved enough funds to begin the much needed construction of a permanent monastery in 2008. During the summer of 2010 we started the process of moving in and on August 24, 2010, Bishop David Monroe officiated at the Dedication and Blessing of our new chapel and monastery.